Enjoy easy transportation to Disneyland or your Anaheim hotel. If you'd like to go straight to Anaheim from LAX (Los Angeles International Airport), you'll be able to provide your flight details and be greeted with a sign at the airport and taken straight there. Monaco Bottled Water and Monaco Mints are always included in each transport along with free Wifi during your transport. Perfect for our International guests who may not have cell service upon arrival at LAX. Your Town Car will arrive 5 minutes before your scheduled pickup and take you to Disneyland or your Anaheim hotel from either Los Angeles proper, Hollywood, West Hollywood or Los Angeles International Airport (LAX). You won't have to wait in line for a taxi or for a RideShare! You will be able to choose the pickup time and you and your family will be transported at your convenience. Booster seats for children are available upon request. Monaco Bottled Water and Monaco Mints included in each transport. Your driver will be professional and courteous. 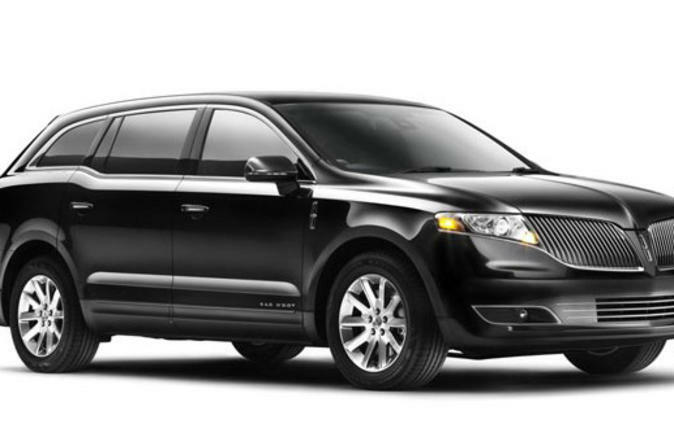 Your transport will be in a black Lincoln Town Car MKT.